Debussy’s close friendship with the American violinist Arthur Hartmann (1881-1956) began in 1908, and in the summer of 1910 they planned an American tour of 24 East Coast cities during January-February 1912. During this tour, Debussy was to “conduct the orchestra, an opera of my composition [possibly at this stage The Fall of the House of Usher], or play the piano.” And in every concert, Hartmann was to perform Debussy’s specially composed Poème pour violon et orchestre as the main highlight of the evening. 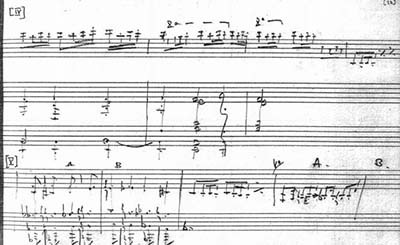 Although the fee of $15000 that Debussy demanded eventually proved too high for the organisers, he wrote two themes for the Poème in 1910, and in January 1914, when he arranged his piano prelude Minstrels for ‘piano et Hartmann’, he added three more, quite extended, and motivically linked themes. As in the case of his sketches for the contemporary ballet No-ja-li, these were virtually all the material necessary for him to complete the work, and as Debussy had no hesitation in asking other composers, such as André Caplet, Charles Koechlin and Henri Busser, to help him complete or orchestrate his works in the 1910-14 period, Robert Orledge decided to complete this masterful work, which was premièred in its final form on 4 March 2013 by Isabelle Faust (Vln), with Orchestre de Lyon, conducted by Heinz Holliger. For more infromatino and for links to purchase scores/piano reductions, please visit this page. Musik Fabrik is pleased to announce the pubilcation of Gregory Sullivan Isaac's opera for tenor and piano Henry Faust Second act aria (In the witches kitchen. Faust demands, then drinks, the youth potion. The devil conjures the image of Gretchen). See the full opera here. Described as a "tour de force" during the opera’s initial run of performances “Henry Faust” by Gregory Sullivan Isaacs is a three-act, one character opera based on Goëthe’s play as translated by Anna Swanwich (1859) with a libretto by the composer. It was premièred at the Circle Theatre in Chicago on April 11, 1993 with the Composer as Faust and Kevin Hinton, pianist. To find out more about the opera and purchase a score, please visit this page on our website. Musik Fabrik is pleased to announce the publication of an album of songs for bass voice and piano by Franz Liszt. 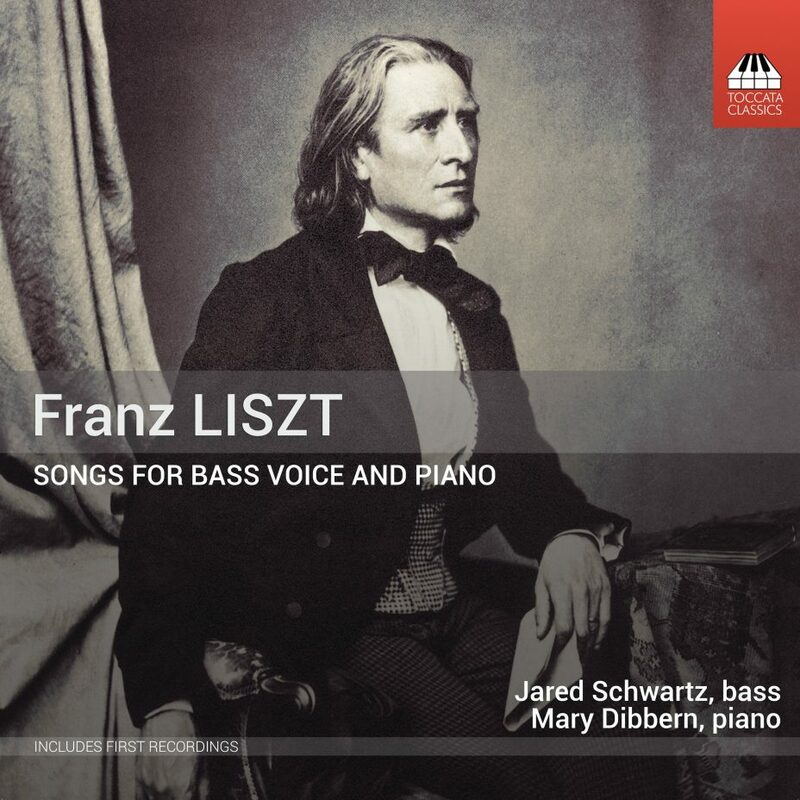 This edition of songs by Franz Liszt (1811–1886) includes all of the scores recorded by bass Jared Schwartz and pianist Mary Dibbern for the CD Franz Liszt: Songs for Bass Voice and Piano, Toccata Classics 0441, released October 2017 and recently named “BEST LIEDER RECORDINGS OF 2017“ by La Voix Des Arts. 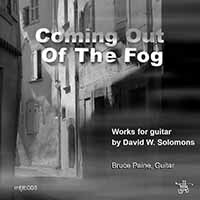 This is the first CD of songs by the composer with a selection for bass voice with all but one song transposed to fit the low-voice range. A complete version of the following excerpted notes, along with the translations of the poems into English, is included in the CD booklet. The album is divided into two volumes: Vol. 1: songs in German and Vol. 2 : songs in Italien, English and French. The selections in this edition and on the CD are the first recorded performances of any of his voice-piano music by a bass voice, and all but one are transpositions to low-voice keys. The songs represent four of the six languages that Liszt set: German (7), French (3), Italian (1), and English (1). They are also examples of the stylistic and dramatic variety of three distinct periods that musicologists often use to describe Liszt’s musical production. The performers chose three songs from the Early Period (1838–1847) that includes the years of his rising fame as a piano virtuoso; five from the Weimar Period (1848–1858), when he abruptly left the concert stage to accept the post of Kappelmeister in the Weimar court; and finally, four from the Last Period (1870–1886), which began after Liszt left Weimar and took minor orders in the Catholic church. Throughout his career, Liszt wrote complex vocal music with a two-octave ambitus and dynamics ranging from the most delicate ppp to a roaring ff. His songs transformed the previously limited vocal tessaturas and range of dynamics found in the music of his contemporaries’ 19th-century chamber music salons. Musik Fabrik is happy to annouce an important series of publications of songs by the French composer Ange Flégier. 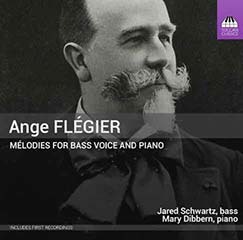 This project originated with the recording "Ange Flégier: Mélodies for Bass Voice and Piano" with American bass Jared Schwartz and pianist Mary Dibbern. They located out-of-print scores of songs especially suited to bass voice and then collaborated with us for the editing process. 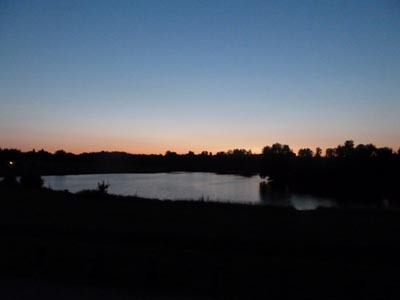 A number of Flégier’s songs in medium and low keys will be available shortly, in addition to a volume of songs for bass voice that corresponds to the recording. Those titles are listed below. 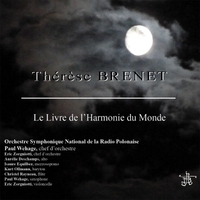 The recording was released in September 2016 by Toccata Classics (London).